In addition to combustion testing, Faber also uses physical air flow modeling. 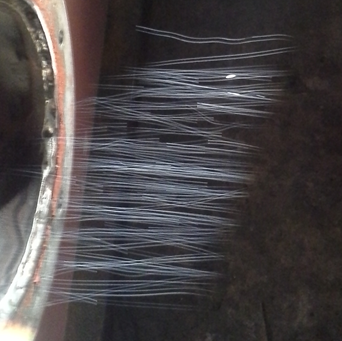 Neutrally buoyant helium bubbles are used to visualize air flow patterns in the burner register, windbox, mixing box and ducting. This allows engineers to design burners with an even air flow distribution to the register throat.